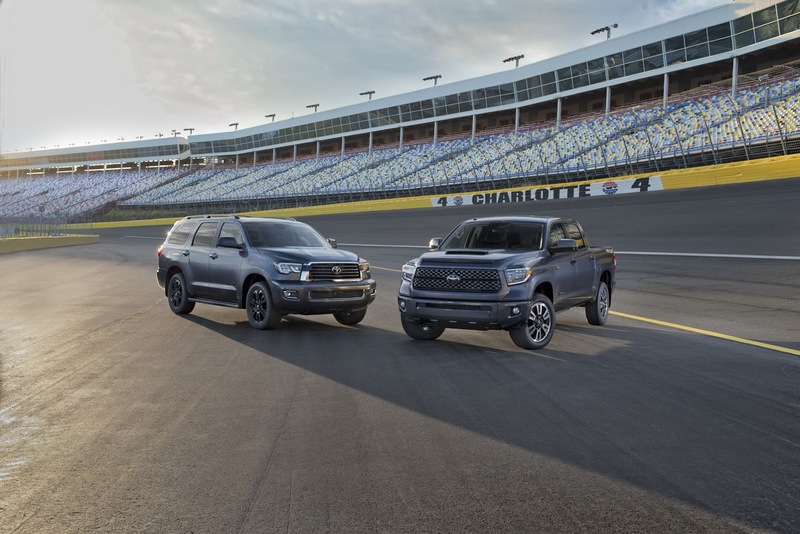 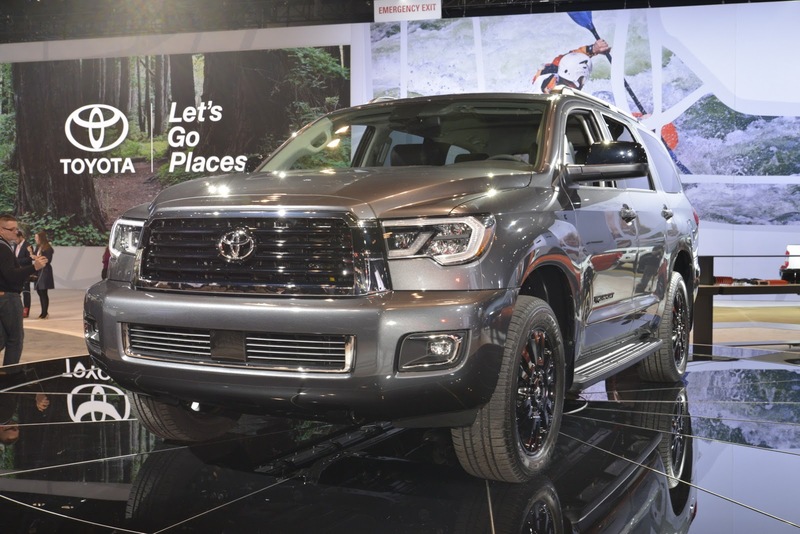 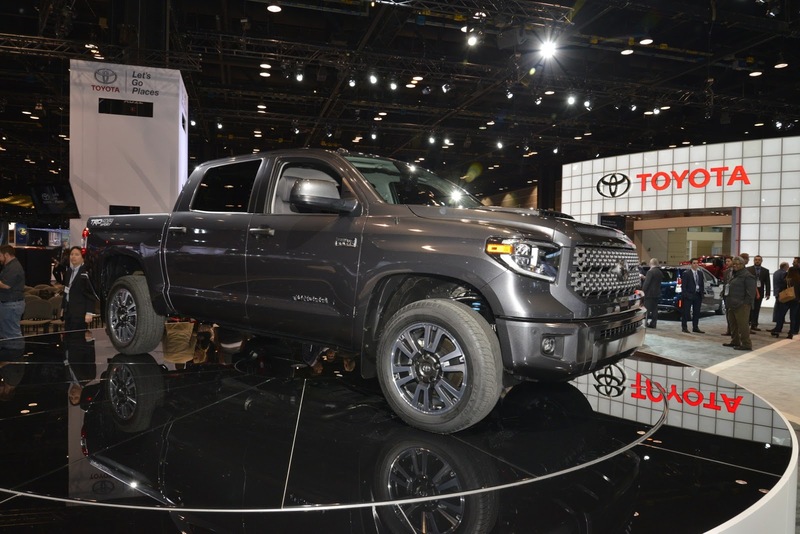 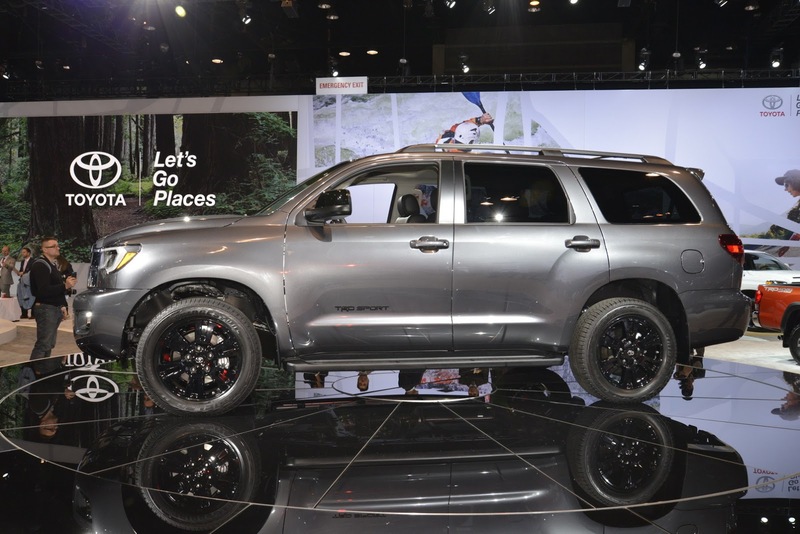 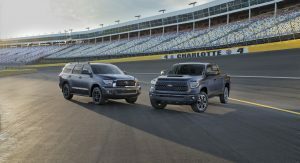 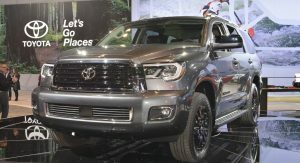 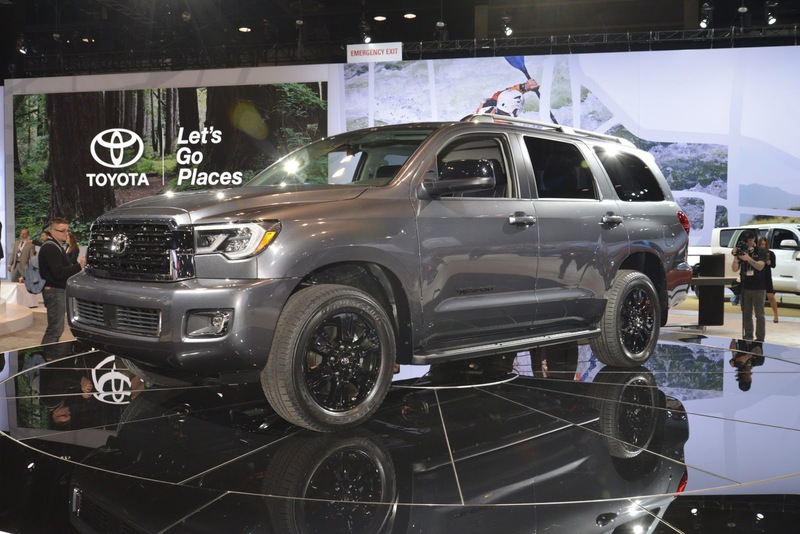 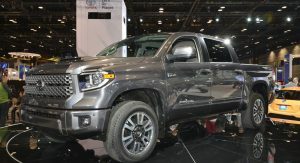 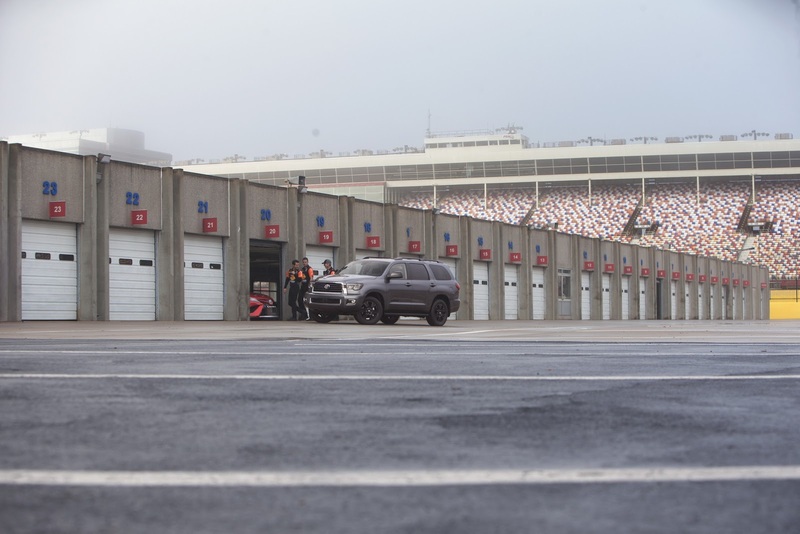 Aside from launching their new RAV4 Adventure in Chicago, Toyota also debuted the updated 2018 Tundra pickup truck and Sequoia SUV, both of which get TRD Sport gear. 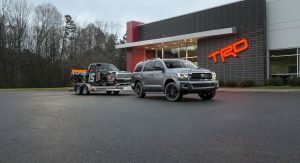 For both the Tundra as well as the Sequoia, these TRD Sport duds are just part of an overall MY2018 refresh, as the large SUV and pickup will feature improved safety as well as exterior styling changes. 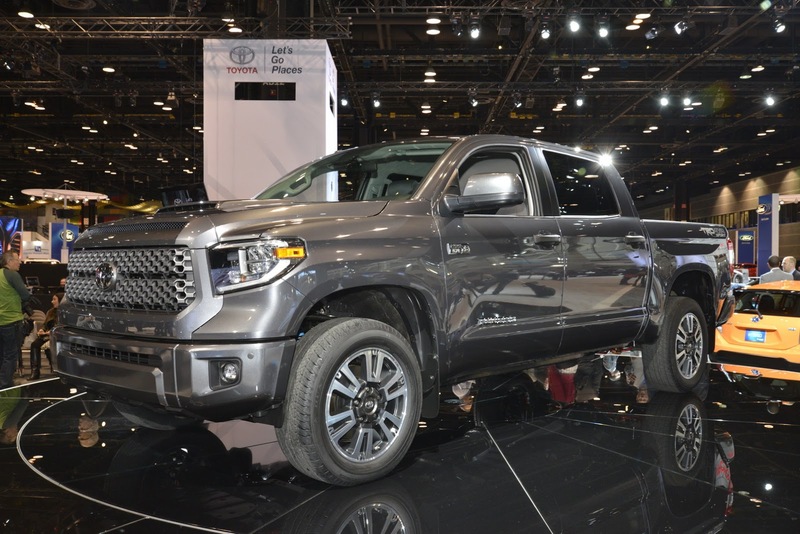 The 2018 Tundra gets Toyota Safety Sense as standard, bundling a Pre-Collision System with Pedestrian Detection, Lane Departure Alert, Auto High Beams and Dynamic Radar Cruise Control. 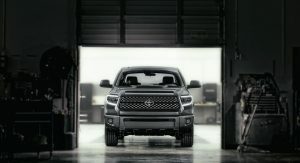 Exterior upgrades include a new mesh grille on select trims, whereas the Tundra Limited and 1794 Edition get a new billet style grille. 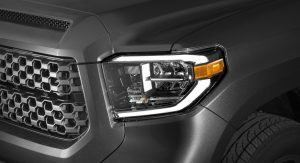 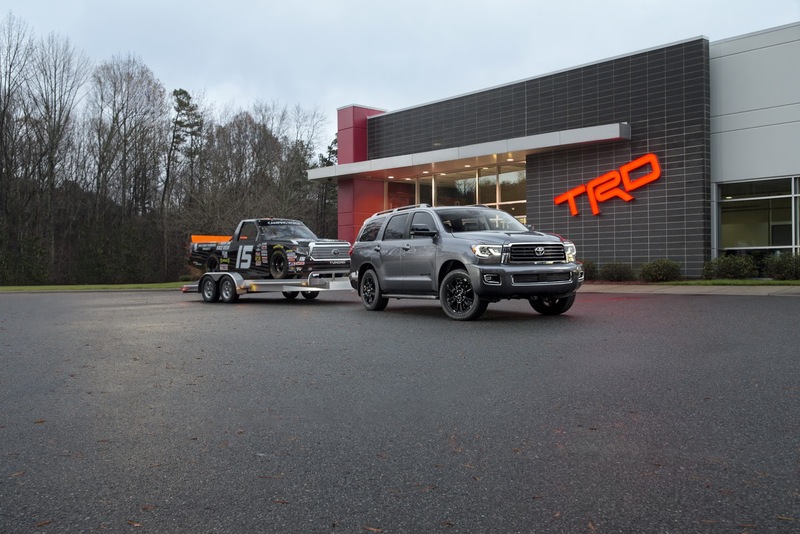 Other exterior changes include new LED headlights, DRLs and LED fog lights for Limited, Platinum and 1794 Edition models, with LED headlights and fog lights also available when purchasing the TRD Off-Road package on SR5 versions. 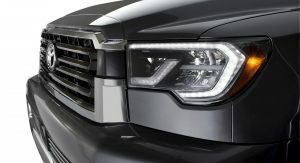 Otherwise, SR and SR5 grades will make due with halogen headlights with a black bezel and the previously mentioned LED Daytime Running Lights. 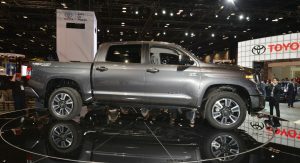 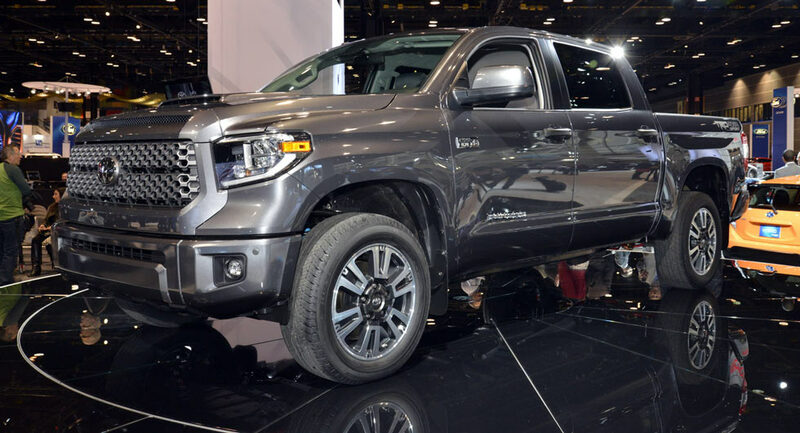 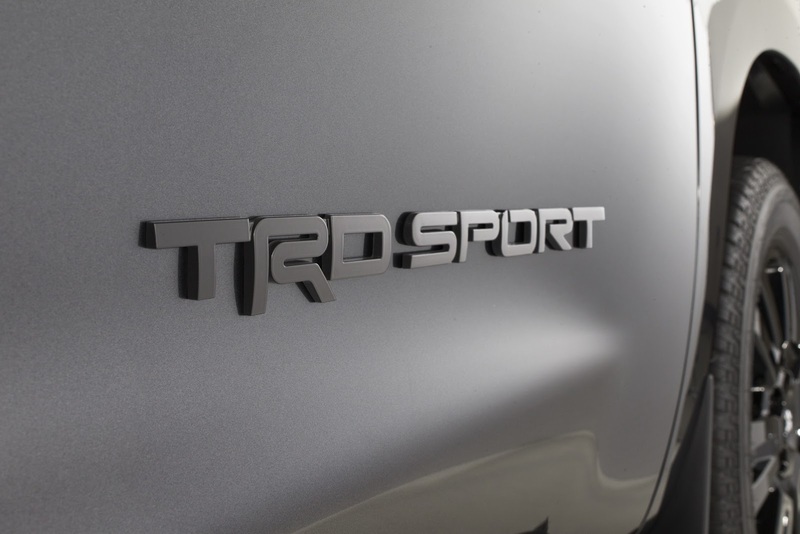 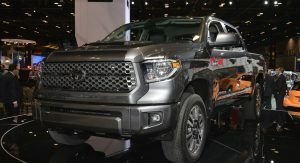 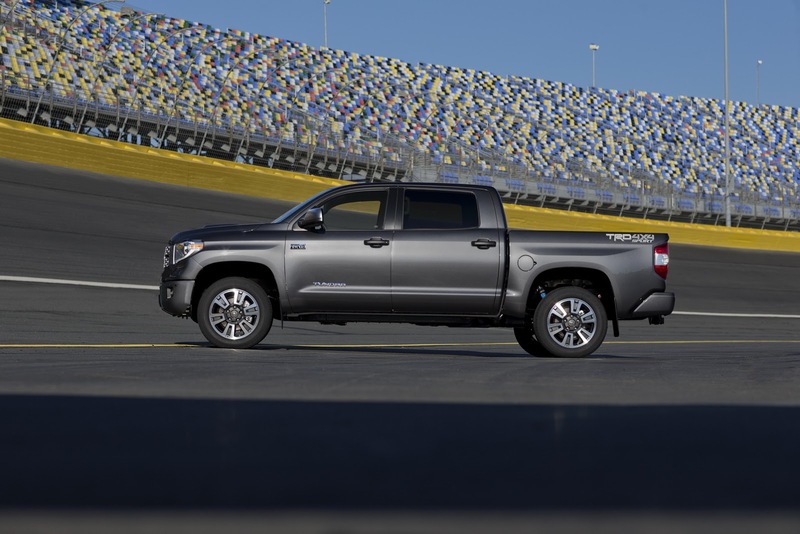 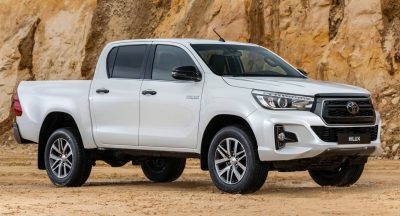 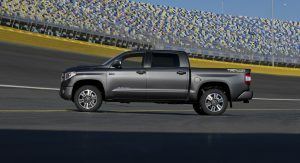 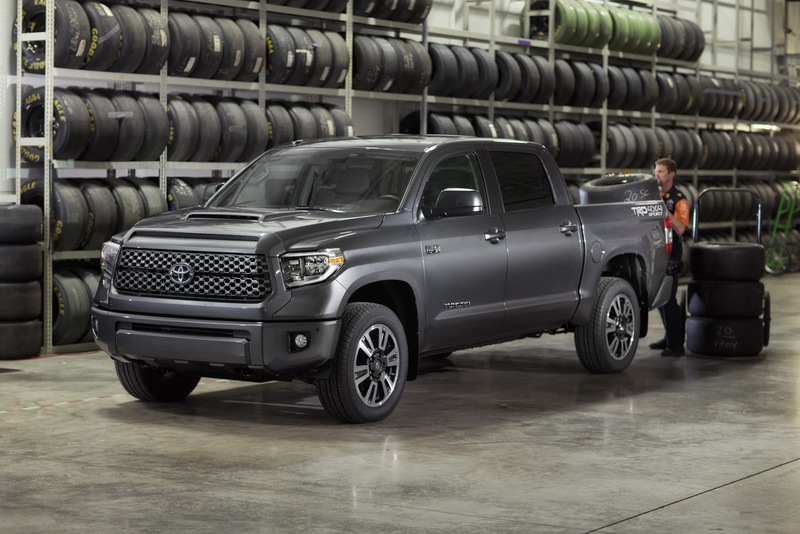 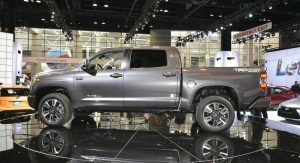 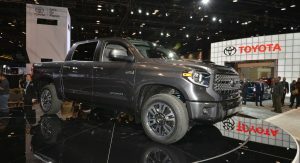 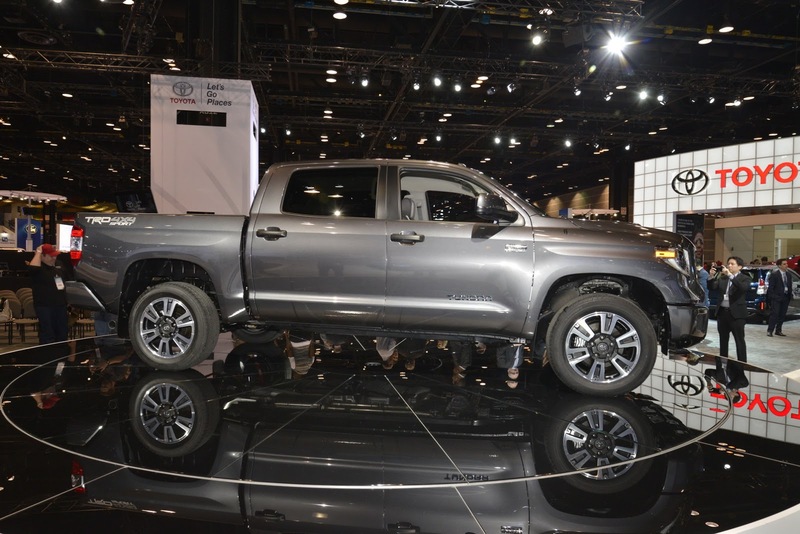 Buyers looking to purchase the new Tundra TRD Sport will find it available on 4×4 and 4×2 grades in CrewMax and Double Cab configurations, powered by Toyota’s 381 HP 5.7-liter i-Force V8 engine. 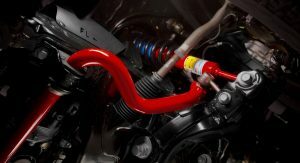 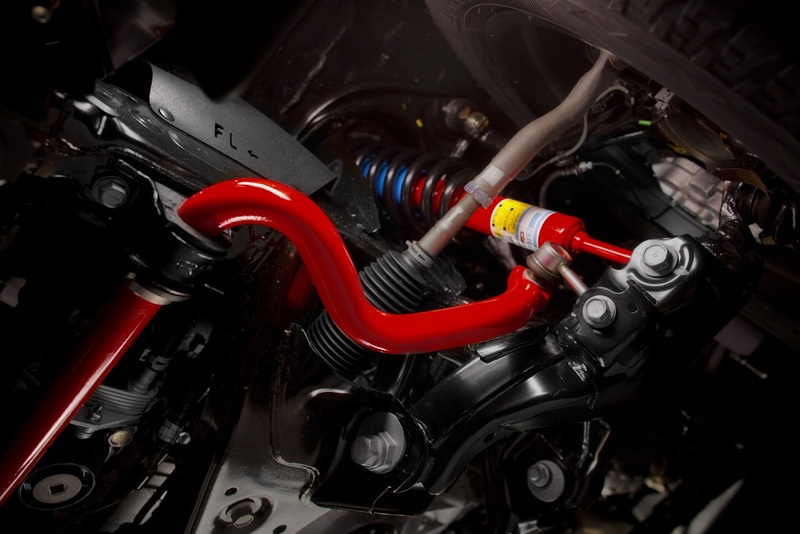 Aiding driving performance will be the TRD Sport Tuned Bilstein Shocks and TRD front & rear anti-sway bars. 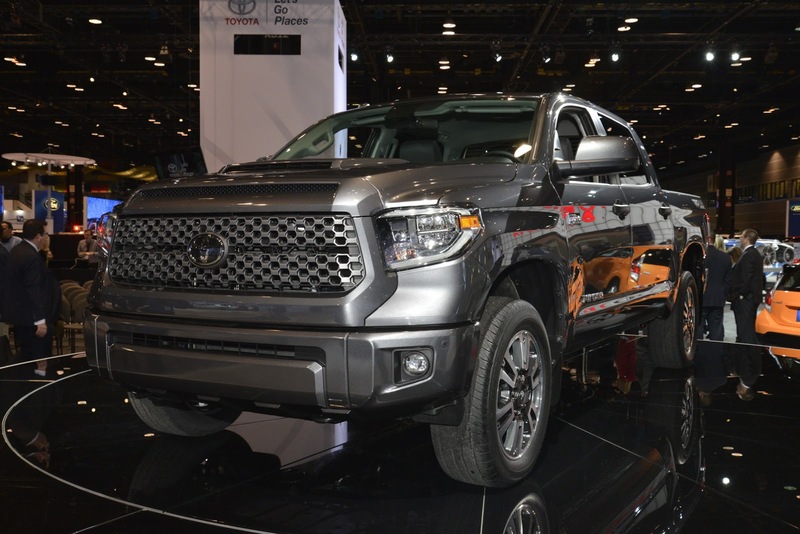 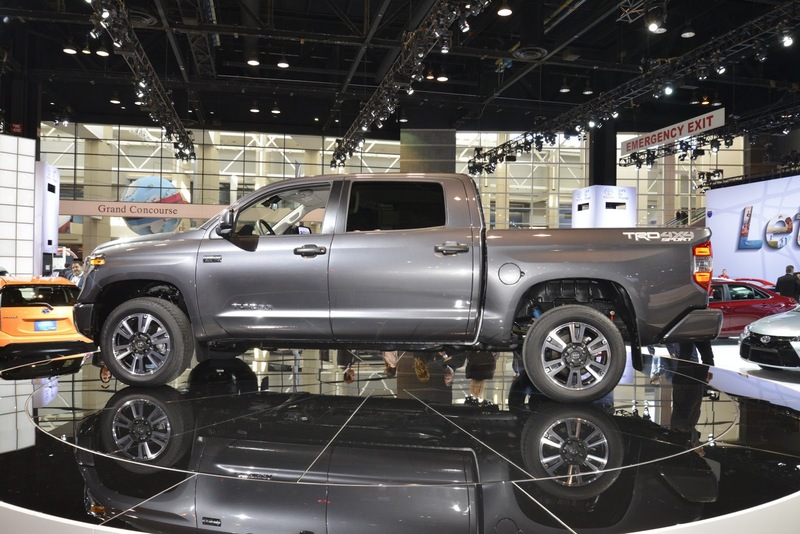 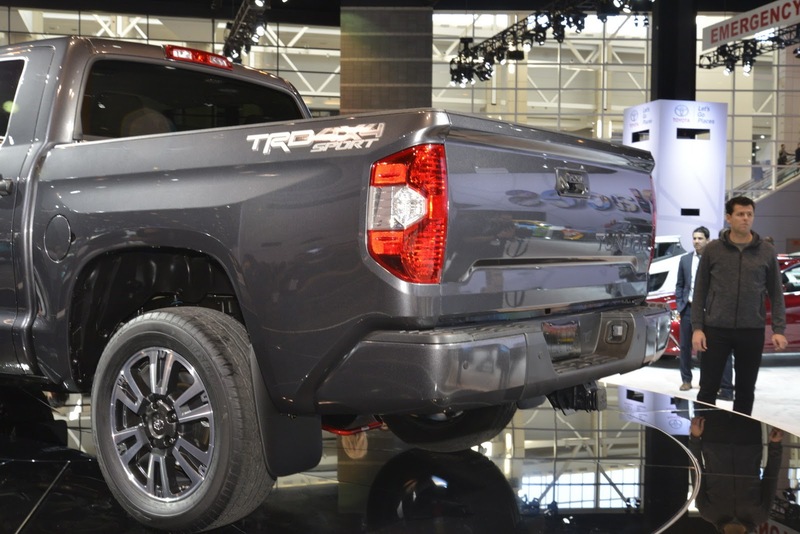 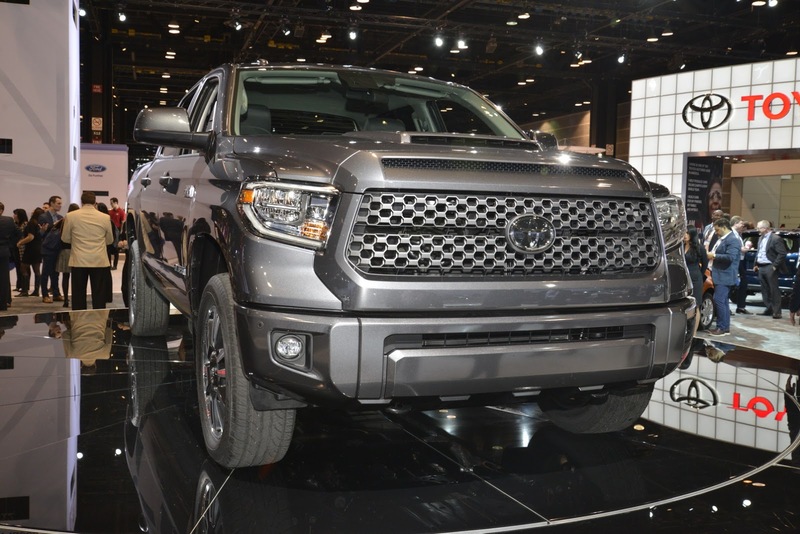 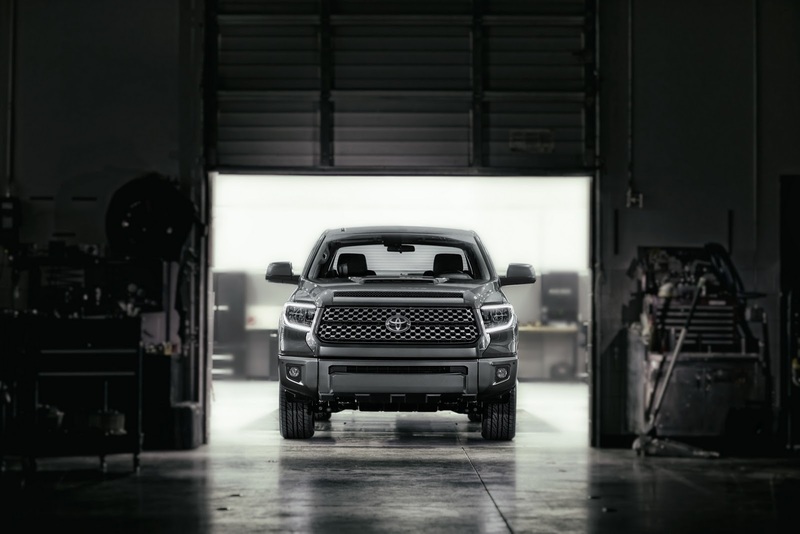 As for styling changes, TRD Sport Tundra models get color-keyed mirrors, hood scoop and front & rear bumpers, 20″ alloy silver sport wheels, the LED headlights, fog lights and DRLs, mesh grille with body color surround and a TRD Sport-specific bedside graphic. 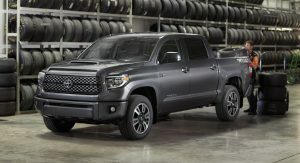 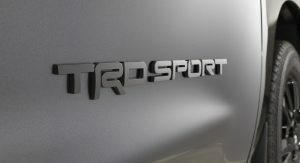 Exterior colors include Super White, Magnetic Gray, Midnight Black Pearl, Blazing Blue Pearl and Barcelona Red Metallic, while inside you get a TRD shift knob and TRD Sport floor mats. 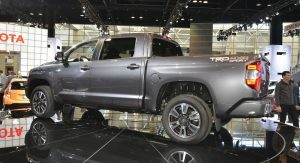 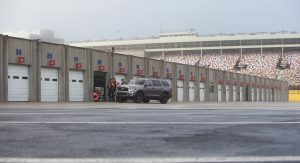 Most of the key features on the TRD Sport Tundra also translate to the TRD-tuned Sequoia, which has the same engine, custom shocks, anti-sway bars and 4×4/4×2 modes as its pickup truck sibling. 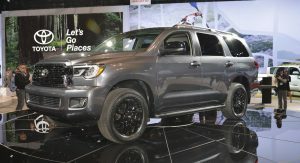 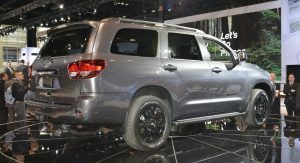 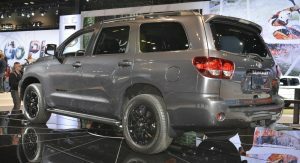 Exterior features specific to the Sequoia TRD Sport include a new front grille and bumper grille insert, metallic black mirror caps, 20″ alloy black sport wheels, darkened rear taillight housing, a black satin finish TRD Sport badge on the front doors and a metallic black and chrome Sequoia badge on the liftgate. 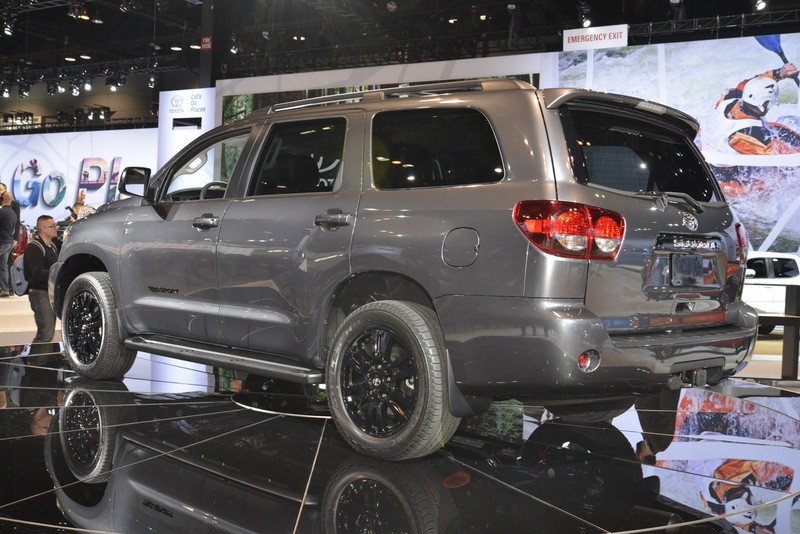 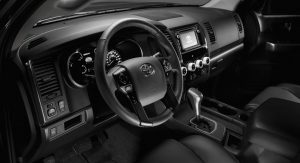 The SUV’s interior gets standard black fabric seven-passenger seating, optional black leather captain’s chair seats (part of the optional Premium Package), plus TRD shift knob, floor mats and sill protectors. 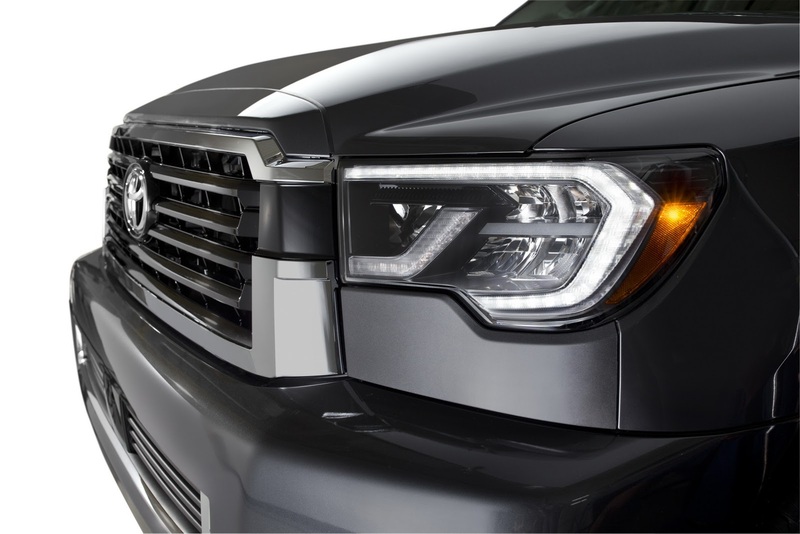 Also like the Tundra, the Sequoia comes better prepared as a 2018MY car, featuring updated active safety features like PCS w/PD, LDA, AHB and DRCC, as well as LED headlights with DRL tech, and fog lights. 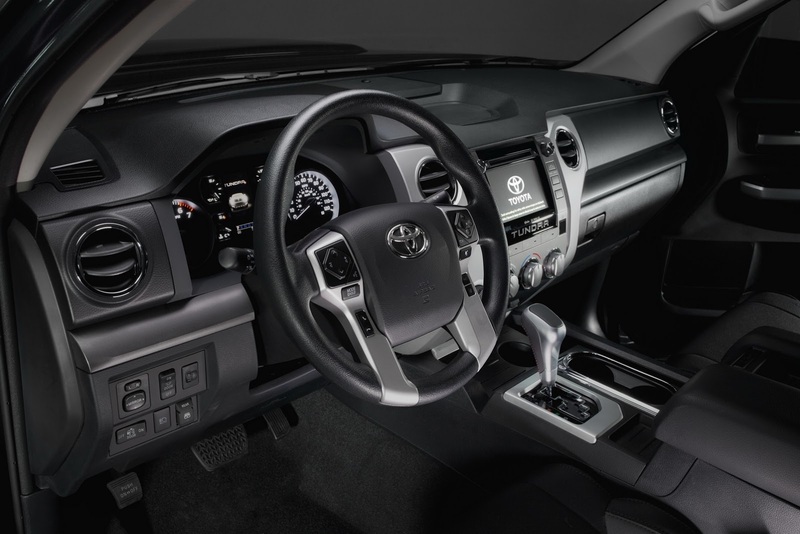 All updated Sequoia models will feature a new instrumentation panel gauge cluster as standard, together with a 4.2″ Multi-information Display that tracks the status of its Toyota Safety Sense system. 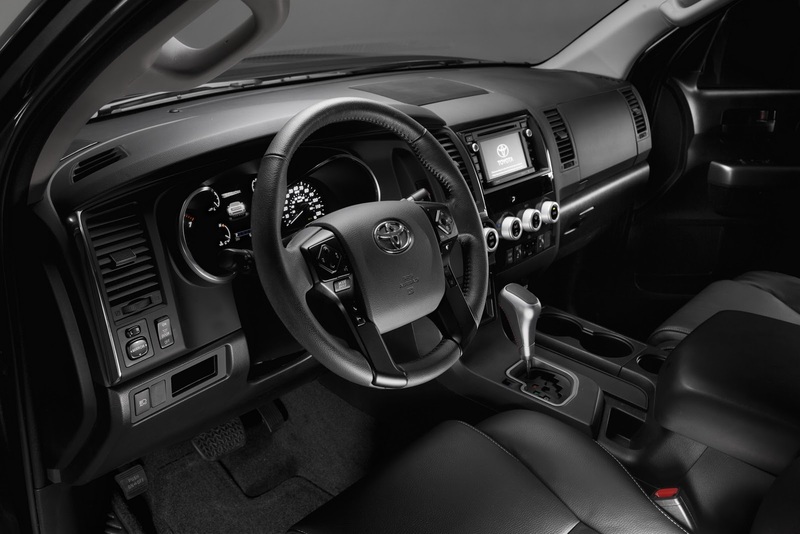 Other changes include the updated center speaker grille, with the Platinum grade model now getting wood-like accents. 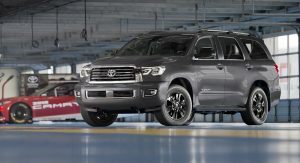 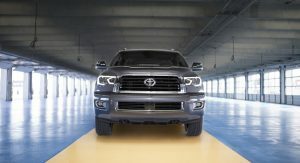 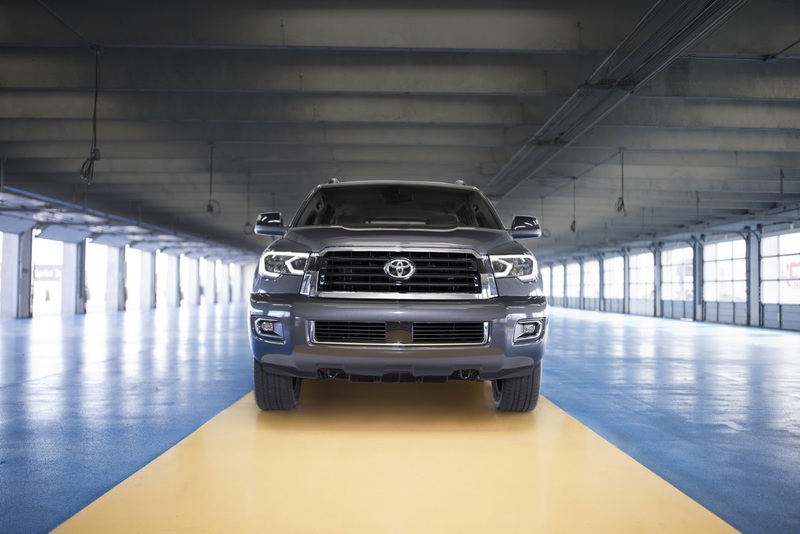 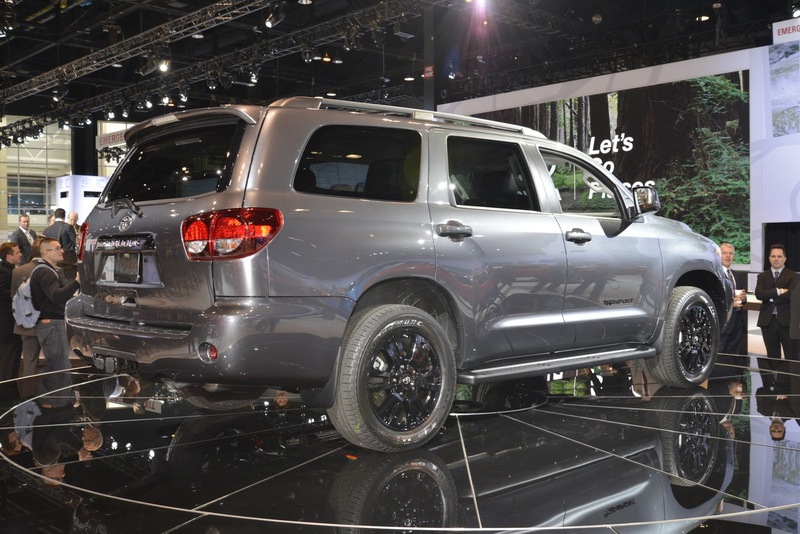 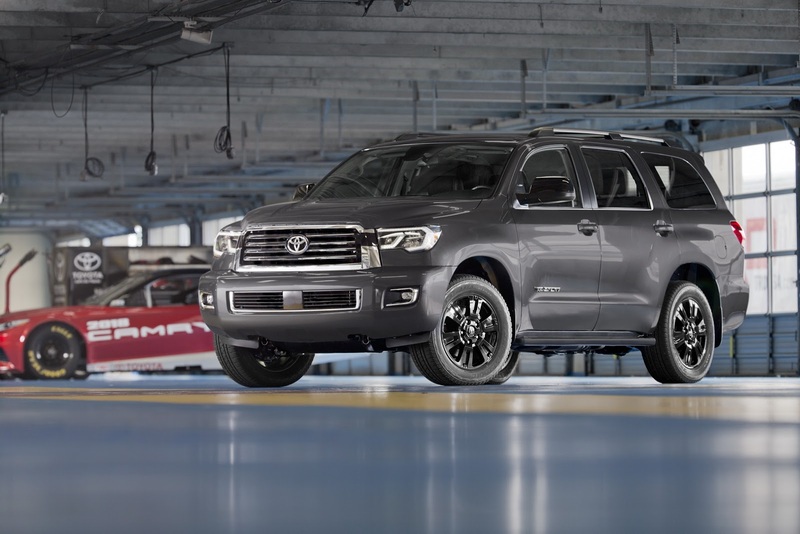 Toyota’s 2018 Sequoia will be available in eight exterior color configurations, which include three new colors – Midnight Black Metallic, Shoreline Blue Pearl and Toasted Walnut Pearl. 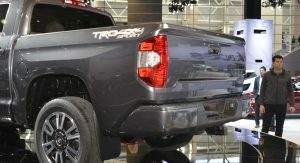 Other colors include Super White, Magnetic Gray Metallic, Silver Sky Metallic, Blizzard Pearl and Sizzling Crimson. 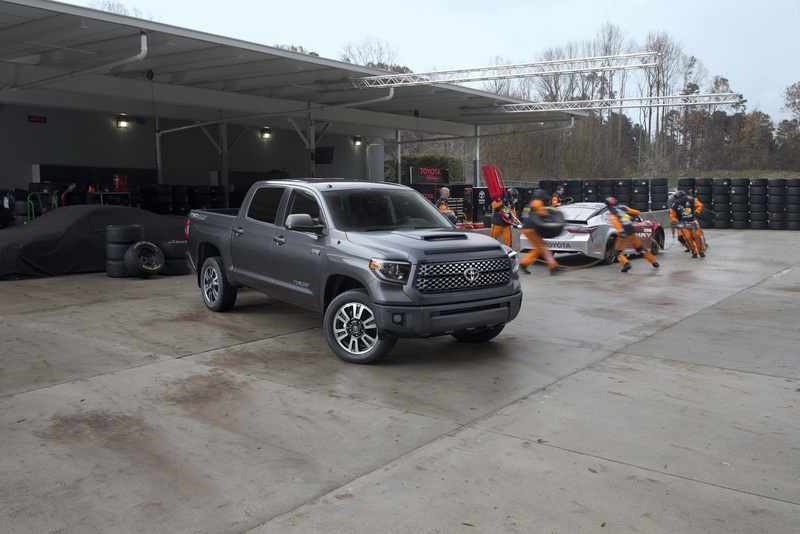 Expect to see the TRD Sport versions of the 2018 Tundra & Sequoia arrive in showrooms this September. 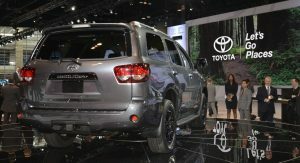 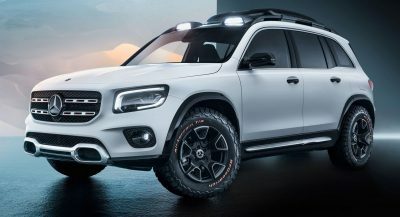 Nice that the Sequoia had DRL’s,, but that suv needs an overhaul soon. 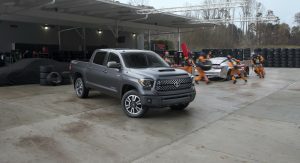 Both the facelifts for it and the Tundra aren’t exactly eye catching either. 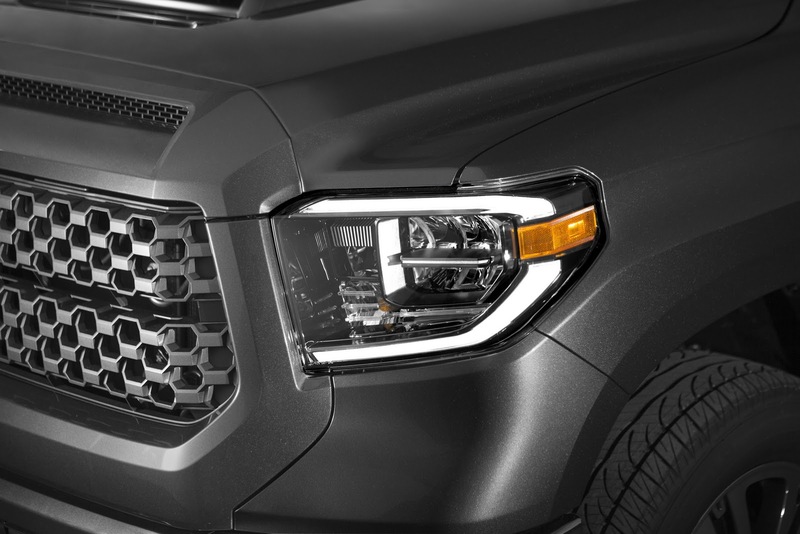 Wow new headlights and some mirror caps to update 10 year old vehicles…you better slow it down Toyota! 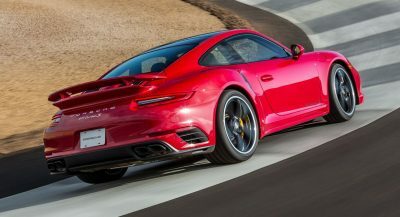 Your going to over exert yourselves! 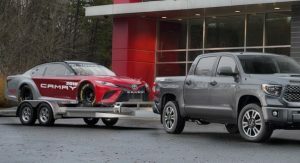 This is just hysterical. 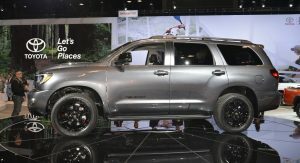 Personally, I think Toyota designs great SUVs and trucks, but we really need the Sequoia to be redesigned or just killed off. 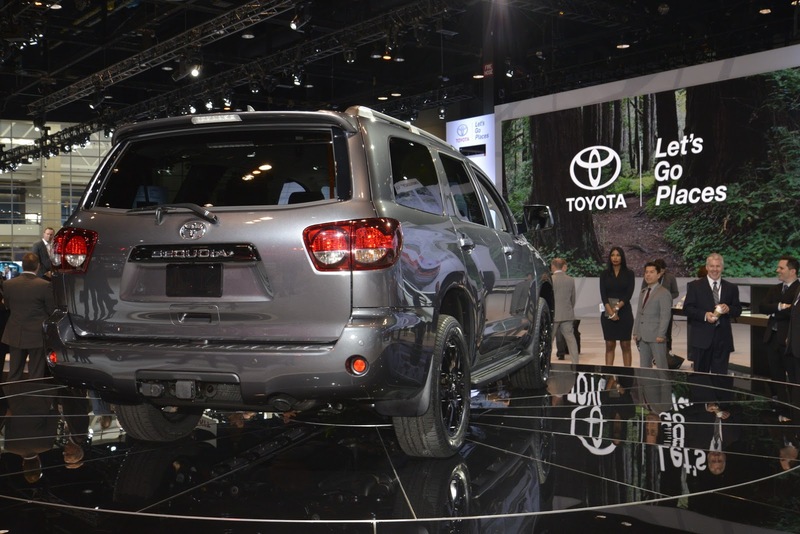 It’s been 9 years since this SUV was released and somehow the facelift looks rushed. 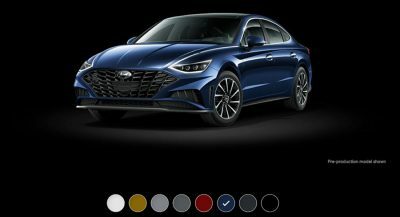 I rather see an all-new 2018 model instead of this. 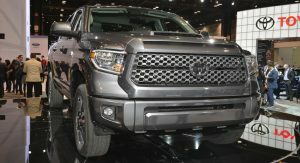 Truck design has hit peak fascist.